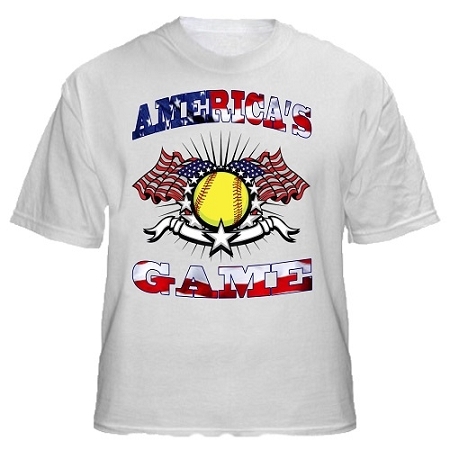 Show your love of America with this Designs By Shelby exclusive softball design. 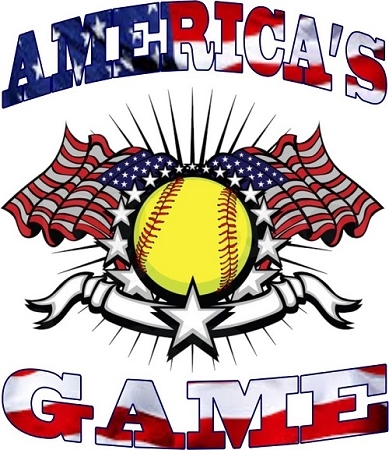 Stars & Stripes embedded inside the text give a unique design. 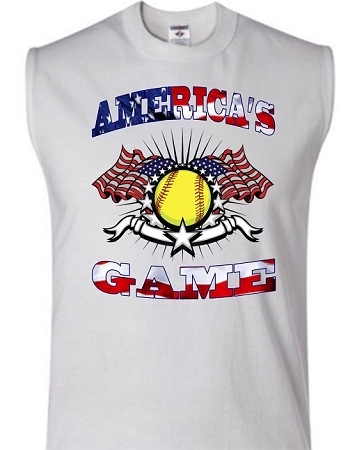 Have this message imprinted to a T-Shirt, a Long Sleeve T-Shirt or a Sleeveless T-Shirt, ideal for a workout at the gym. 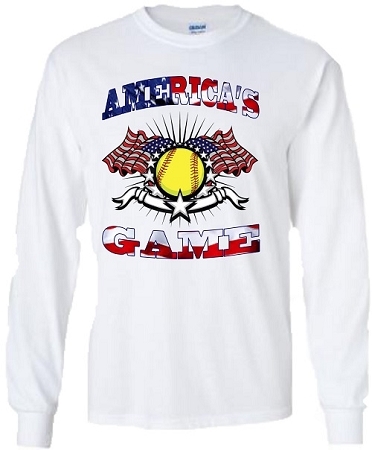 T-Shirts, Long Sleeve, Sleeveless and Sweatshirts are all available in either White or Ash Grey. 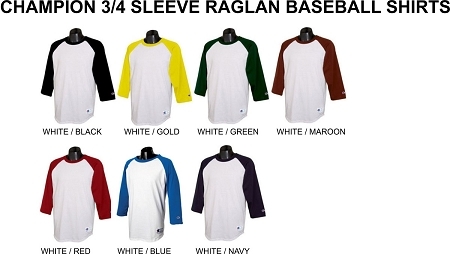 3/4 Sleeve Shirts are available I white shirt with colored sleeves. 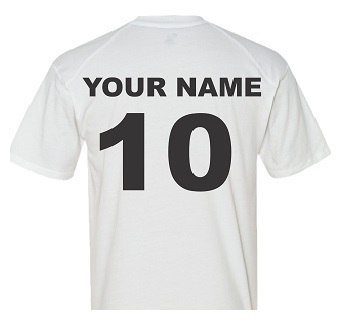 You can also have the back of the sjirt customized with a name and number.